As if plucked from the garden! 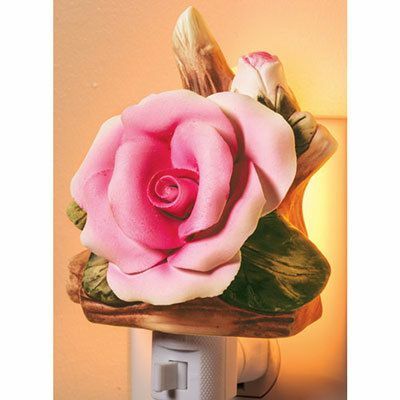 This nightlight shines with a singularly perfect handcrafted ceramic rose. On/off switch on base. UL listed. 7w bulb, included. 5"h.